Many business moves often include relocating a company’s personnel, computer equipment and office furniture. That would be a typical commercial move however if your business needs more than that, don’t hesitate to contact your commercial movers because they may be able to provide your business with all of the services you require. Commercial movers can often provide freight services, special electronics handling services, skidding and crating services and even international handling and preparation for transportation services. If your company has need of any of these services contact your commercial movers and inform them of your specific needs. Odds are in your favor that they will be able to help you. Some companies need to relocate massive or complex machinery, expensive and highly sensitive electronics, or other assets. In some cases your own employees and even equipment may not be sufficient in meeting such demand or the handling requirement that some items may need. Working with professional movers who can provide you with such handling, the equipment and if needed relocation, will prove to be beneficial for your business. Did you know that commercial movers are often able to provide industrial moving services such as rigging, machine skidding and crating and even crane service? If you have robotics, clean room equipment or other sensitive electronics, your commercial movers can handle and transport your equipment anywhere it needs to go, and in some cases even overseas. If you require crane-rigging services, your commercial movers are most likely part of a larger moving operation that will have riggers available. The Commercial Relocation Network encompasses the best of the best when it comes to professional commercial moving services. But don’t think that it stops there. CRN can provide you with a variety of more service and more industry professionals than you may think. If you need to move your business and you prefer not to have to shut down during the moving process then you may not have to. Many business moves are conducted while the business continues to operate. 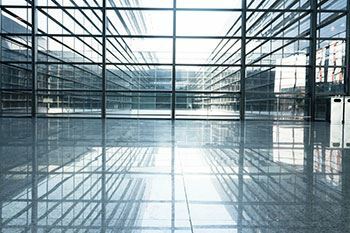 Commercial business movers worth their salt will be able to accommodate businesses that need to move and operate simultaneously in many cases. Learn a little about moving company’s history. How long have they been in business? Do they have sufficient experience relocating businesses? How large is their company, their fleet, and their moving crews? If they only have a couple trucks and five movers for example, and you need to move a 50,000 square foot facility, is that really enough to meet your business size needs efficiently? Do they have an actual commercial moving department or are they really just household movers who ‘think’ they can handle a commercial move? You can also request to meet with the commercial moving consultant and the crew foreman. Ask them how they will handle your move. You will be able to see if the foreman has the experience and know-how to manage his crews in order to handle your business needs. Require your movers in consideration to also provide you with a tangible move plan. It should show you a schedule of when your movers will have given items, offices or departments relocated so that you can continue to operate parts of your business while other parts are being moved. These are just a few questions and suggestions to help you find the commercial business movers you need, but remember members of the Commercial Relocation Network are already proven and certified capable movers, required to meet the highest of standards in the moving industry. When you choose to work with CRN, you’ll get the movers you need to handle your business’s relocation successfully. When you need to move your machines consider the process first so that you know what to expect when your crate and skidding crews arrive. Most machines need some sort of software or mechanical servicing from a specialist prior to handling. It’s important to reference your manuals or if you don’t have one, contact your machine’s manufacturer for a copy. You can also convey your concerns to your CRN industrial moving consultant who can provide you with information and the process for relocating your machines. Moving machinery begins with preparing the machine(s) for moving. After any specialty services have been conducted on your machinery, the skidding crew will begin constructing a custom-fit skid, which needs to be made to support a given machine’s weight and size. Skids can be built with shock absorption if needed so something to keep in mind. Once the skid has been built, it is common practice to secure and protect certain areas of machinery that may be sensitive. Special foam supports, bags or other materials are used for this purpose. Mylar protective barrier bags are used to wrap the machine and provide an airtight seal. Once machinery has been fully prepped for relocation and placed on its skid, the crating begins. It’s important that your professional machine craters have the necessary skills and experience when constructing crates because they may need to meet specific crate shipping rules and regulations depending on the destination. Furthermore, you will want to ensure proper protection for your business’s assets. If you require, monitoring equipment can be installed inside crates to ensure smooth handling and shipping. Skidding, crating and relocating machines can be a lengthily process from start to finish but with the right professionals, you’ll get the successful and efficient service you want. Choose CRN to provide your crating and skidding services and have your goals achieved from the best in the industry. It doesn’t matter how you look at it, big or small, simple or complex, your company’s equipment is expensive. Make sure you have your sensitive equipment packed safely and appropriately before you have it moved. The last thing you need is to have your company assets relocated and then find damaged goods at the other end. There are many types of sensitive machinery and equipment, some of which can be highly sophisticated in today’s business industries. There are moving companies out there who think they can handle just about anything when the fact is, many simply can’t. 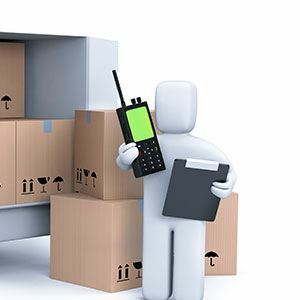 When you’re considering who you want to pack and move your business’s assets whether it’s computers, robotics, lab equipment, small machines or even whole assembly lines with the most expensive machinery, make sure you do your homework and qualify your packers and movers. Find out who your relocation specialists are including how long they have been in business, how many trucks and personnel are they operating with, and what kind of hands on training and experience do they have with other companies in your industry. Request some testimonials as well. If you request an onsite survey of your facility and equipment that needs to be packed and moved, ask them to explain to you how they plan on packing your equipment before it’s handled and relocated. You’ll soon be able to decipher whether or not your company’s goods are in the right hands or not. Many forms of equipment will need to be serviced prior to packing. Some items will need to be placed on a skid and then crated, or possibly palletized before relocating. Take for example a twin-screw extruder or an injection molding machine, these machines can’t simply be placed in a crate and moved. They need to have specific exterior parts and pieces secured, protected and properly packed before skidding or crating can begin. Any experienced and knowledgeable commercial or industrial packers will know how to properly and safely pack your equipment and therefore ensure your expensive equipment is moved properly. If you need to relocate your business’s machinery, robots, computer equipment or other sensitive assets then choose the best commercial and industrial packers and movers for your business. Count on CRN to give you the professional and delicate packing services you need no matter how complex or expensive your equipment may be. CRN has the proper know how and hands on experience you need. 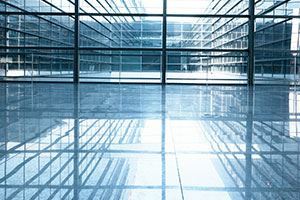 Once your moving goals have been completed whether you have relocated your offices or perhaps even your whole business, you may still need to decommission space at your previous location. It would be a good idea to and make a list of what needs to be done at the facility before you plan on setting a timeframe for the decommission services. Whether you inspect your prior location yourself or delegate the responsibility to another member of your team be sure to thoroughly inspect the space that needs decommissioning. Make a to do list to help keep track of what needs to be done. For example, you may have decided to leave furniture, expired inventory, worn out equipment, or other items behind after moving and they will need to be removed from the building. If you had to install networking cable throughout the building, they may need to be removed as well. There are a number of tasks to do after moving from a building or offices and removing old assets or wiring is only part of it. During the inspection be sure to note any damages like cracked floor tiles, scuffed walls or corners where machinery, pallets or even forklifts may have made contact, and also check doors and windows. Even if there isn’t any damage to note, you will want to have the space generally cleaned and any present trash removed. Often in storage rooms, warehouses and industrial departments, there will be leftover inventory such as chemicals, miscellaneous equipment parts and pieces, hardware, broken pallets, or perhaps old stains and spills. You will want to have it all removed and then the space cleaned. Keep in mind that ceiling fans and perhaps the ventilation system may need to be inspected and cleaned as well especially if used for filtering chemicals or toxins. Space decommission can be a large task at the end of a move. Speak with your CRN move consultant or moving crew foreman and they will be able to help you with decommissioning your space, and will be able to provide more information on who you will need to contact for special services if any are needed. When it comes to moving offices and even whole businesses, preparation and having a well thought out plan are major keys to success. The same applies to large corporations and even hospital moves, just on a much larger scale. For many professional moving companies, such a task can seem overwhelming but for members of CRN, moving a hospital is just another day’s work. When dealing with a large scale relocation project, it’s best to break it down into smaller parts. For example which departments would benefit relocating first compared to others? What if some departments are massive and complex compared to others? How do you keep operations going while the move is conducted? These are all questions of concern you may be asking yourself and the solution is rather simple: consult with your commercial moving consultant and the commercial moving foremen who be leading the crews. Your commercial moving consultant will basically interview you and find out what your hospital’s specific needs are by asking the right questions. He or she will help you formulate a total relocation plan and will assist with breaking the plan into smaller pieces while focusing on efficient organization. It is a good idea to include the commercial foremen because they are the crew members who will convey your instructions to the general movers and manage their performance on site and a daily basis. Both the consultant and foremen will always be available to help you along your goals until your moving project is fulfilled. How long will your move take? It is not uncommon for a hospital move to take several weeks or even longer depending on your specific goals and schedule. In many cases, your hospital movers are able to work efficiently without your presence or supervision, therefore allowing you to focus on your work where you need to be. With the right movers you will feel less overwhelmed, less stress, and more comfortable knowing your project will come to completion in a smooth, orderly and professional manner. 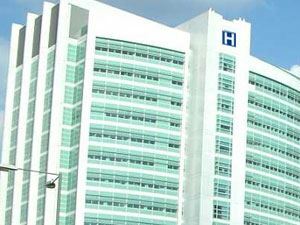 What about your hospital’s sensitive, complex and expensive equipment and other assets? Can your hospital movers handle everything safely and carefully? Are they qualified? You don’t need to be worried about members of CRN because they must be qualified and certified to meet or exceed the toughest of industry standards. The Commercial Relocation Network only provides the best in the business and that means your movers will have the appropriate equipment, professional attitude and the experience to handle all aspects of your hospital move both efficiently and safely. Should You Anchor Your File Cabinets? If you have multiple cabinets you want to stand next to one another, use top clips and sheet metal screws to fasten them to one another. Then use clips near the bases of the file cabinets. 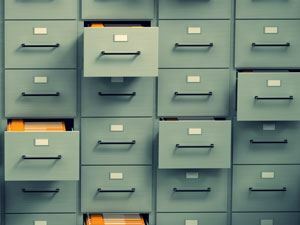 Bet you didn’t know there was so much to file cabinet safety! None of these things are hard, but they do make a big difference in the right situation. Some office designs are more efficient than others. As a small business owner, you understand the importance of efficiency. The last thing you want is employees all bottled up who need to move around a lot physically, and that ruins your productivity. Every office is different, so there’s no one right way to design a new office setup. But you can follow these tips to make your office space more efficient: 1. Do you really need the AC? Have you ever asked your employees how warm or cold they feel during the day? Cold temperatures cause your muscles to constrict and your body to slow down. And productivity falls. Work with them to get a comfortable temperature. And if it’s warmer, you’ll save money too. 2. Minimize Meeting Rooms How often do meeting rooms really get used? Not all day long like your other office space! Either eliminate this space entirely and use it for more valuable business purposes, or minimize the amount of space you use for meetings. 3. Make Moving Around Easy It might only cost you a couple minutes per day, but that lost time adds up significantly over the course of the month and year. Ask your employees for the most common reasons they need to move around, and arrange your desks and office equipment accordingly. 4. Consider Hiring an Organizer Your CRN team may also know several adjustments you can make to increase efficiency. However, a professional organizer has been there and done that in the past, and knows how to save you good money and make you more efficient right away. 5. View it as an Ongoing Process Even if you hire a professional organizer, you may not get the perfect office space layout right away. Recognize that your business changes, and so do its needs. Keep taking one step, one day at a time, and you’ll eventually get that ridiculously efficient office design you’ve always dreamed of. 6. Be Willing to Let Employees Arrange their Own Space What works for one person may not work for another. Each employee may have his or her idea of what the most efficient desk arrangement is. Let them have control over their own spaces, and they’ll be much more efficient workers. Follow those tips for efficient office design, and you’ll be off to a great start at your new business location. When you’re considering and industrial move, there are certain things you can do to better prepare for it. Making a checklist is rather common but do you know what exactly needs to be on that list? Important items can be missed resulting in an increase in downtime and a decrease in productions. Let’s go over some of the important items you’ll want to have on your list. Delegate roles to key individuals: Place someone in charge of in-house coordination if you don’t plan on assuming the role yourself. It’s important for your employees to know whom they can go to with questions, suggestions, and direction for preparing their individual workstations and departments. It would be a good idea to have a coordinator at both origin and destination if you will be moving locally. Often moving companies can conduct loading and delivering at the same time if the move requires multiple trucks. Charge another person with the role of Motivator. This person would be responsible for ensuring individuals and departments don’t end up unprepared for the move. In some cases when the movers arrive, there may be a department that is less prepared causing a delay in the move process and ultimately costing you more money. If you are moving machines, certain program and maintenance procedures may need to be done before moving. You’ll want to make the right people have been notified and are performing such operations in a timely manner. Machinery, electronics and networks: Speaking of moving machinery, if you have any machines that need special attention prior to moving, make a list and give someone the responsibility of fulfilling it. The last thing you need on moving day is a long break in your move having to wait for something to be serviced last minute. Machines and electronics often require hardware and program maintenance as stated above, and networks need to be disconnected by IT professionals who can both disconnect and reconnect your computers, servers and other electronics safely and efficiently. One of the final items on your list should be to make a destination floor plan. 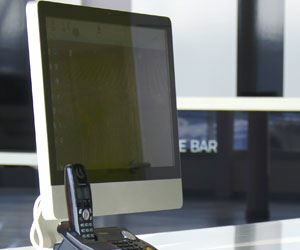 You’ll want to ensure that your workstations and all other assets are going to fit properly at destination. Make sure access to each room is sufficient for what items will go in them. Consider if your industrial movers will need to negotiate any tight clearances or entryways and have solutions in mind if and when an issue arises. With members of CRN, you will work with industrial movers who are abundantly equipped with knowledge and experience to provide you with the successful move you want. Your moving company representative and crew foreman will be able to provide you with an effective moving plan and also help with solving any issues throughout your move process. How sensitive is your IT equipment really? Do you have a precise answer to this question? A small fall could cause serious problems, possibly damaging your IT equipment to the point where it is unusable. Here are some tips for using crates and pallets to transport your IT equipment to your new location: 1. Bubble Wrap Everything First You can’t use enough bubble wrap when transporting sensitive electronics. Use 1-2 layers of bubble wrap to insure against damage from a long fall. 2. Use Pallet Stretch Wrap to Wrap Everything Together Tightly Wrapping higher stacks of IT equipment together with plastic keeps the larger stacks from falling. If you load your equipment onto a pallet, stacks could run several feet high. Wrap them tightly, and you won’t have anything to worry about during the transportation process. 3. Keep the Stack Size Small You should only stack your IT equipment about 5 feet high or so. Yes, you can use plastic pallet wrap to secure your equipment and stop it from falling. But if you push the stack too high, it can still fall, even when wrapped. 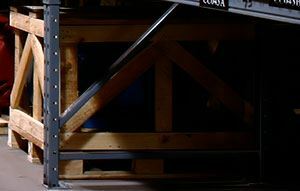 What Specialized Crates and Pallets for IT Moves Do When they’re well-constructed, they keep your stacks of IT equipment balanced so they don’t tumble, fall, and cause thousands of dollars of damage. But you can get pallets that aren’t as sturdily constructed. They’re used for other moving and inventory storage purposes, and it costs less to make them because they use lower grades of lumber. So if you have to move a large amount of IT equipment, make sure the pallets you use are constructed specially for that purpose. You can also just let your CRN team take care of the process for you. Just ask them how the pallets are constructed, and once you learn how they work well for IT moves, you’ll feel fully confident no equipment will be damaged during your move. Remember, everything will go fine with your move if you plan it well and think it through in advance.